What exactly is the conversion value of a Like? What exactly is the conversion value of a Like? 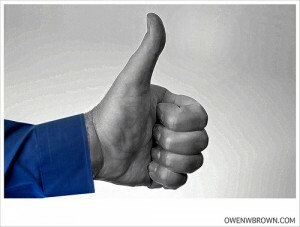 You Are Here:Home / Social Media / What exactly is the conversion value of a Like? If you’re in digital marketing you’re probably used to the conflicting information that does the rounds. The fact that conflicting information comes from reputable sources doesn’t help us sort out fact from fiction, or the good from the bad. Take, for example, new research reported by eMarketer.com, which goes to show that a Like on Facebook is a fairly strong indicator that a sale will follow. Without having exact studies to hand, I know that this contradicts what many other researchers have found, i.e., that a Like is just that, an indication that someone at some time thinks a brand has done something right. It does not mean that a conversion is imminent. Interestingly, this new study by Ipsos OTX and Ipsos Global @dvisor, has found that it’s not necessarily the people who like a brand that will convert, but their friends. According to global statistics, 22% of internet users whose friends Like a brand on Facebook or follow it on Twitter will buy products. Now, 22% isn’t a massive amount, until you consider the hordes of people who are active on Facebook and Twitter. The new is also heartening. The percentage might be low, but any positive response from concerted social media efforts is a good sign; one upon which further efforts can be built. One wonders, however, what the next study will bring.